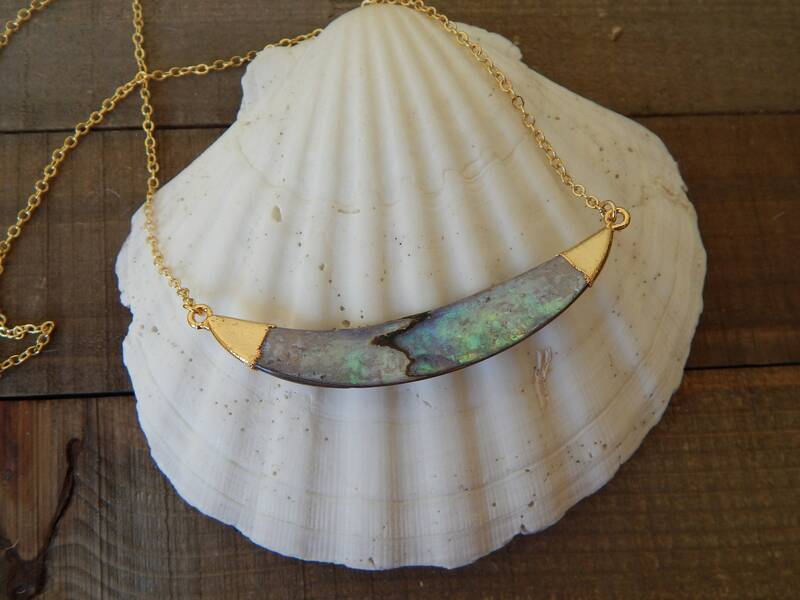 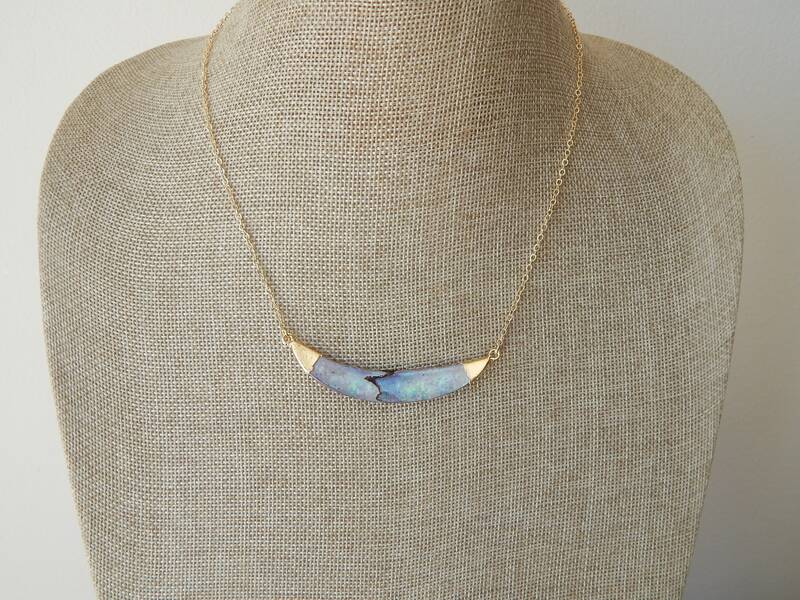 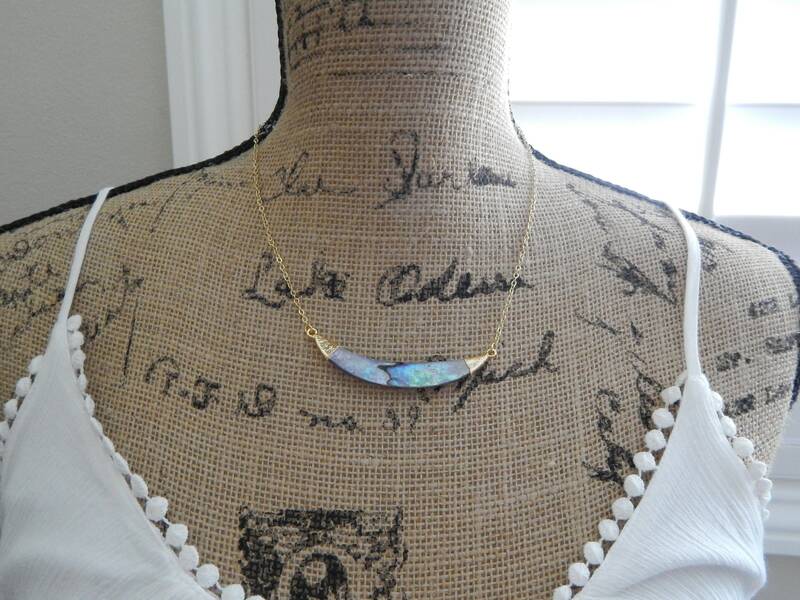 A horizontal double horn abalone pendant hangs from an 18kt gold plated brass chain. 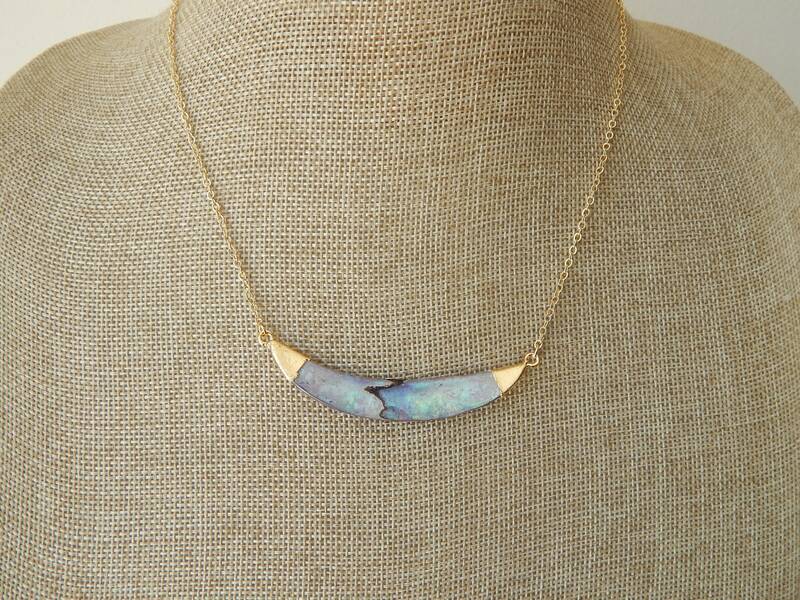 Wear alone or layer with other necklaces for a summer bohemian look. 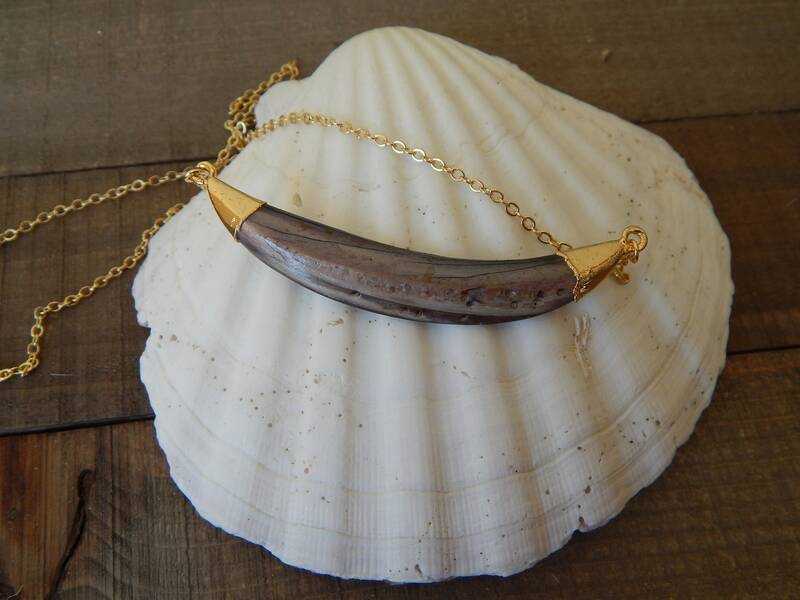 Pendant measures 3 inches across.